5 June 1044. The advance parties and the assault elements of the Battalion completed loading in and near Plymouth Harbor. The Battalion Commander, Lieutenant Colonel John P. Cooper, Jr., Battery Reconnaissance Parties, Forward Observation Parties, and the Naval Fire Shore Control Parties (attached) were loaded in landing craft with the 115th Infantry; the assault elements of the 110th Field Artillery Battalion were loaded in five LCT’s. 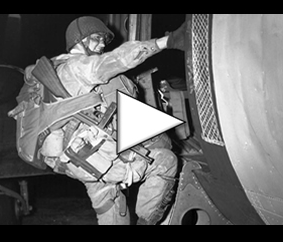 The former were to land on the morning of D-Day ; the latter, on the afternoon of D-Day. Nothing unusual occurred to the Battalion between Plymouth and its destination, the Normandy Beach, France. D-Day: 6 June 1944. Those elements of the Battalion with the 115th Infantry landed with the Infantry between Colleville-sur-Mer and Saint-Laurent-sur-Mer, beginning at 061030 (See Map A). The missions of these advance parties were to establish observation, to reconnoiter positions for the remainder of the Battalion which was to land at about 061600, and to secure fire support for the Infantry from the 111th Field Artillery Battalion and the 1st Division Artillery which were supposed to land earlier. Because of heavy resistance to the landing and the resultant inability of the Infantry to attain their initial objective as scheduled, the advance elements of the Battalion were not able to fully accomplish their missions initially. They did, however, maintain communication among themselves and with the part of the Battalion still afloat. At the direction of Brigadier General Norman D. Cota, Assistant Division Commander, Lieutenant Colonel Cooper took command of all artillery ashore in the sector of the 29th Division and assigned it various missions in direct support of the 115th Infantry, who were attempting to push inland from the beach. Artillery fire, some direct and some requested by the Battalion’s advance parties, was accomplished. Its effect was observed to heighten the Infantry’s spirits. Fire support from naval vessels was obtained for the 115th Infantry by the Naval Shore Fire Control Parties attached to the battalion. Because of the shallowness of the beachhead, the wreckage on the beach, and the failure to obtain beach exits as anticipated, the 110th Field Artillery Battalion proper was unable to land as scheduled 6 June. On the night of 6 June, low-flying aircraft attacked the Battalion afloat about 1200 yards offshore. Organic anti-aircraft machine guns were fired on the air-craft from LCT’s of the Battalion with unknown results. No casualties occurred in the Battalion as a result of enemy action. D+1: At about 071030 Battery “C”, 110th Field Artillery Battalion under the command of Captain Arthur L. Flinner, attempted to land at the direction of the Navy, near Saint-Laurent-sur-Mer (Les Moulins). This landing was a failure because the craft hit a runnel. Two vehicles and valuable equipment and documents sank while debarking. Two others landings were attempted and “C” Battery finally came ashore with all its Howitzers at about 071300. “C” Battery occupied a position just north of Saint-Laurent-sur-Mer and was ready to fire about 1600. The battery fired two short missions unobserved, but was limited from further firing because of safety considerations of our own troops imposed by the short range. The battery was on call, however, for fire continuously except for the period 072100-2230, when “C” Battery displaced to a position just south of Saint-Laurent-sur-Mer. (See Map A). At about 072000 Service Battery (with a duplicate Battalion Headquarters to operate in case of mishap to Battalion Headquarters) landed at Vierville-sur-Mer and were directed by a military policeman to a transit area about 500 yards west of Vierville-sur-Mer. “A” Battery followed Service Battery. It was not possible to occupy the prearranged position near Deux Jumeaux for it was in enemy heads. Service and “A” Batteries went into the transit area without mishap. 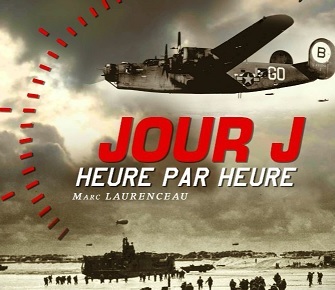 At about 2030 Headquarters Battery started to land ; it proceeded south through Vierville-sur-Mer and had just cleared the south edge of town when, for an unknown reason, traffic ahead of Headquarters Battery on the road on the south edge of Vierville caused other traffic to halt. “B” Battery followed Headquarters Battery but had to stop when it was about half-way through the town because of Headquarters Battery’s halting. Just the (about 2045), enemy artillery fire began to fall around the town. The fire shifted over all parts of the town but was mostly heavily concentrated at the crossroads and center of the town, where “B” Battery was halted. There were also small arms fire from snipers in the town. Civilians, members of the 115th and 116th Infantry, some Rangers, and some members of an Engineer Shore Brigade were trying to get out of the town, south, est and west ant this movement of people inevitably caused much confusion. Several of “B” Battery’s vhicles and two of their 105mm Howitzers received direct or spray hits from the artillery. Seventeen casualties accrued to “B” Battery in this action. The remainder of “B” Battery, two Howitzers and some vehicles, were led to a position just south of Saint-Laurent-sur-Mer by a Battalion Staff Officer at which place they joined “C” Battery (at about 2355) which had recently moved from the north of town. At this place (Transit Area n° 2), “C” Battery and the two pieces of “B” Battery remained in position during the night of 7-8 June. Meanwhile Headquarters Battery and the Headquarters of “B” Battery were in position about 1200 yards south of Vierville-sur-Mer. Thus the Battalion was split into three parts : east, south, and west of Vierville-sur-Mer during the night of 7-8 June. First support was available to any observer who requested it, because there were observers with each Battalion of the 115th Infantry who were in radio contact with either “A” Battery or Batteries “C” and “B”. However, no such support was requested, primarily because the Infantry was not certain of its front lines. The Battalion was in Combat Team attachment. Battalion Commanding Officer : Lieutenant Colonel John J. Cooper, Jr. Commanding Officer, Battery A : Captain William H. Beshler, Jr.